Cement and concrete are prerequisites for the continued development of modern societies. However, cement and concrete production comes with a significant environmental footprint and accounted for 8 % of the global CO2 emission in 2015. Roughly half of the emissions are due to CO2 chemically bound in limestone (CaCO3), the raw material used to make cement, which is released during calcination. The other main contributor is due to the heating of the raw limestone in the rotary kiln to more than >1450°C which amounts to 1/3 of the total CO2 emissions. These points show that even though cement producers would like to minimize the environmental impact by different means there is an inherent theoretical limit to this, due to the chemistry involved. 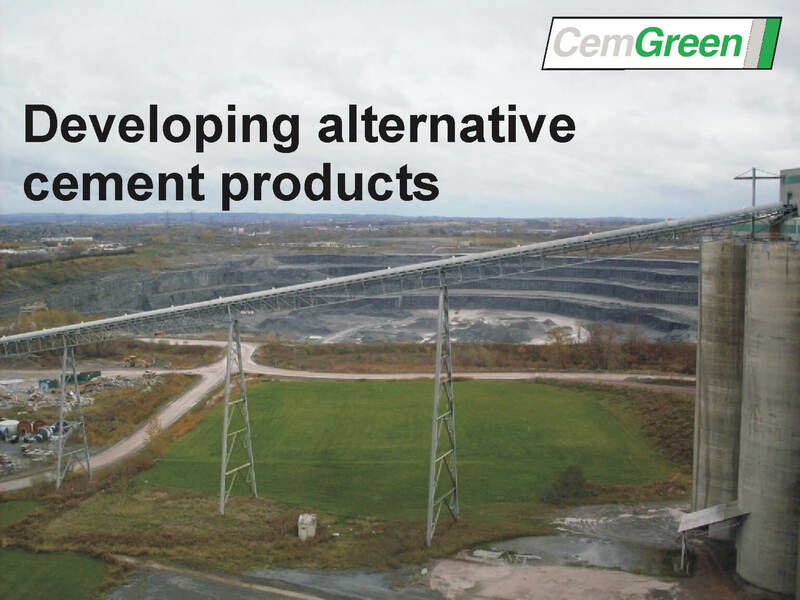 CemGreen’s solution is to use certain raw materials based on their significantly lower energy consumption during production relative to conventional cement. These raw materials are globally available and possess beneficial properties which will secure a sufficient quality of the alternative cement product. Production costs are up to 40 % lower than conventional cement products together with a reduction of CO2 emissions by 35 %.